The nuclear many-body problem is among the most challenging many-body problems in physics. Our group develops and implements many-body methods to advance the understanding of nuclear properties from underlying effective interactions. These properties are important for understanding astrophysical processes, such as nucleosynthesis and supernovas, and for interpreting results expected from new radioactive beam facilities, such as FRIB. High-performance computing has enabled significant progress in applying various ab initio methods to calculate properties of nuclei, but these methods are mostly limited to light nuclei. One example, density functional theory (DFT), is unique in providing a global theory of nuclei. However, it can miss important correlations beyond the mean field. Another method involves diagonalization of the Hamiltonian within a basis constructed by the configuration-interaction (CI) shell model approach. The CI shell model, a basic model of nuclear structure, provides an attractive framework as it accounts for both shell effects and correlations. However, combinatorial growth of the dimension of the many-particle space hinders its application in mid-mass and heavy nuclei. We have overcome the difficulty in applying the CI shell-model approach to mid-mass and heavy nuclei by using quantum Monte Carlo methods. In particular, we use the auxiliary-field Monte Carlo (AFMC) method, which is known in the context of the nuclear CI shell model as the shell model Monte Carlo (SMMC). For a recent review of AFMC in nuclei, see the chapter in Emergent Phenomena in Atomic Nuclei from Large-Scale Modeling (2017). SMMC enables exact solutions in model spaces that are many orders of magnitude larger than those that can be treated by conventional methods. While fermionic Monte Carlo methods are often limited by the so-called sign problem, the dominant components of nuclear interactions have a good sign in SMMC and often suffice for realistic calculations of statistical and collective properties. The smaller bad-sign components of the interactions can be treated by a method we introduced in PRL 1994. The SMMC method is particularly useful for the microscopic calculation of statistical and collective properties of nuclei, such as level densities. Level densities are required to estimate transition rates through Fermi’s golden rule and are important in the Hauser-Feshbach theory of statistical nuclear reactions, and therefore appear in numerous nuclear physics applications. However, their calculation in the presence of correlations is a difficult many-body problem. We have developed state-of-the-art SMMC methods for the microscopic calculation of level densities, including their dependence on good quantum numbers such as parity, spin and isospin (PRL 1997, PRL 1999, PRL 2000, PRL 2007, PRC Rapid Comm 2008). 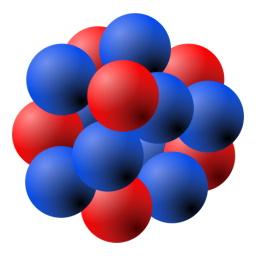 We have extended SMMC to heavy nuclei (PRL 2008), introducing a new proton-neutron formalism and carrying out some of the largest SMMC calculations to date. Heavy nuclei exhibit various types of collectivity that are well described by phenomenological models, but a microscopic description has been lacking. Using SMMC, we have provided the first microscopic description of the crossover from vibrational to rotational collectivity (PRL 2013). In a finite-size system such as the nucleus, it is crucial to use the canonical ensemble with a fixed number of particles. However, the projection on an odd number of particles leads to a new sign problem, which has prevented applications of SMMC to odd-even and odd-odd nuclei. We have recently developed a method that circumvents this odd-particle sign problem, enabling accurate calculations of the ground-state energy of odd-particle systems (PRL 2012). Using this method we have calculated pairing gaps from odd-even mass differences and accurate level densities of odd-mass nuclei (PRC Rapid Comm. 2013). We have also used a configuration-space Monte Carlo (CSMC) method to solve exactly for the pairing Hamiltonian constructed from a density-dependent contact interaction in the framework of DFT (PRC 2011). This improved over the bare DFT+BCS results as measured by the rms deviation between the theoretical and experimental values of ~450 neutron pairing gaps. Deformation is a key concept in our understanding of heavy nuclei. It arises naturally in the framework of the mean-field approximation, but it breaks the rotational invariance of the underlying nuclear Hamiltonian. We have introduced a novel method to study deformation in the rotationally invariant framework of the CI shell model (PRL 2014). We have used SMMC to calculate the axial quadrupole distribution in the laboratory frame, and showed that this distribution carries a model-independent signature of deformation. We have applied the method to isotope chains of lanthanides (PRC 2018). Using a Landau-like expansion of the logarithm of the quadrupole distribution in the so-called quadrupole invariants, we have determined its dependence on intrinsic deformation without invoking an intrinsic frame or a mean-field approximation. We can then calculate the dependence of statistical properties of nuclei on intrinsic deformation (arXiv 2018). This dependence is an important input to models of shape dynamics such as fission. Most calculations of statistical properties of nuclei are based on mean-field approximations. However, their performance has not been tested against a theory that takes the full correlations into account. Recently, we have benchmarked mean-field results against SMMC results (PRC 2016). Finite-temperature mean-field theories are formulated in the grand-canonical ensemble, and it is necessary to project on fixed particle number. We have recently introduced a novel projection formula in mean-field theories in which pairing correlations violate particle-number conservation (PRC 2017).